After months of being bombarded by political materials and advertisements, Election Day is almost here. 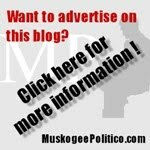 I wanted to take a moment to go through the various races in Oklahoma (primarily eastern Oklahoma), and give my thoughts and/or recommendations, for any who might be interested. Obviously, we desperately need a change in the White House. Romney was not my top choice in the GOP primary (not my second, third or fourth, either), but even so, he will be a *MUCH* greater improvement over the disastrous Obama/Biden administration. Jim Bridenstine is a great candidate - genuinely conservative, and extremely intelligent. He will serve Oklahoma well in Congress. I have met Jim, and am thoroughly impressed with him as an individual, and expect great things out of him. Markwayne Mullin (again, not my first choice in the GOP primary, or my second, third, or fourth) will line up on the conservative side in Congress on a consistent basis. The same can't be said for his Democratic opponent, Rob Wallace, who will caucus with the Democrats, and be just conservative enough every now and then to appease his conservative constituents. Howard Houchen is a good friend of mine, and will make a *tremendous* conservative state senator. Howard is well known in Oklahoma for his outspoken support of legislation which promotes economic freedom and protects Life, Liberty, and Property while being very active in informing and resisting, and even defeating, legislation that threatens the freedoms of all Oklahomans. This will be a close race. Senate District 5 covers all of Choctaw, McCurtain and Pushmataha counties, and portions of Atoka and LeFlore counties. Barney Taylor is running against incumbent State Senator Earl Garrison. Garrison likes to act conservative at home, and vote more liberally in OKC. Barney is a conservative, and while not expected to come close, had the courage to place his name on the ballot and campaign. 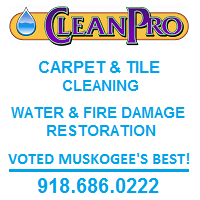 In Muskogee County, where Republican candidates can be few and far between, this needs to be rewarded by Republican voters. Senate District 9 covers most of eastern and central Muskogee County (excluding Fort Gibson), and central Cherokee County (Tahlequah city limits, and south of Hwy 62 towards Muskogee). David Tacket is a staunch conservative (although I disagree on a few issues with him, such as tort reform), waging an uphill fight against incumbent Democrat Wade Rousselot, largely without help from the GOP establishment (whom he has fought with on numerous occasions). District 12 covers most of central and eastern Wagoner County. This is the seat my dad has held for the past six years. Arthur Hulbert is a conservative who will stand up for family values and free-market principles. District 14 has only gone Republican once (George Faught, 2006-2012) - Arthur is a good choice to continue conservative representation. 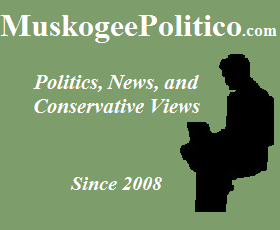 House District 14 covers eastern Muskogee and western Cherokee counties. In Oklahoma, we vote on retaining judges, as opposed to a judge vs. judge race. As far as I know, never has a state judge not been retained in Oklahoma history. HOWEVER, I will be voting against ALL Oklahoma Supreme Court justices. 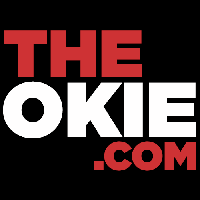 The Oklahoma Supreme Court is rather liberal, with most of the justices having been appointed by Democrat governors (all OSC justices on the ballot were picked by Brad Henry), and in recent years has struck down many pro-life bills or petitions. Given those reasons, I strongly encourage you to vote NO on all Oklahoma Supreme Court justices. As with the Supreme Court, all of the Criminal Appeals judges were appointed by liberal Gov. Brad Henry (D). I encourage you to vote against all of them. Since I know next to nothing about the courts, judges and justices, and finding out information about them is so very difficult, I tend to vote for the those appointed by Republican governors and against those appointed by Democrat governors. The other option is to vote against them all; if by chance one of them was not retained, their replacement would be appointed by the sitting governor (in the case, Republican Mary Fallin). Tulsa residents would be wise to reject this major tax extension. Michael Bates of BatesLine.com has excellent commentary and resources on why to vote against Vision2. 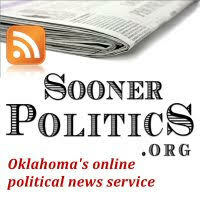 State Rep. Jason Murphey (R-Guthrie) has an excellent page on the state questions, found here. That about sums it up. If you have any questions or comments, or want to see what I think about something else, let me know!